Designed to contour to the lines of your vehicle and sit high and tight for a seamless look, giving you the factory look at a fraction of the cost. Large, 6 inch wide step area for a simple but solid board for your truck. Vehicle specific brackets provide optimum placement along the the rocker panel to ensure these Factory Style boards from Ionic can handle up to 300 lbs. Adding a set of Ionic factory style running boards is an awesome move for anyone looking for classic, clean look that will make entering or exiting the vehicle safer. These step boards will also add protection to your rocker panels from damaging road debris. Ionic constructs the factory style boards from an extremely durable molded polymer material and reinforces it with an aluminum frame. The polymer running boards will not crack or chip, even in extreme cold. 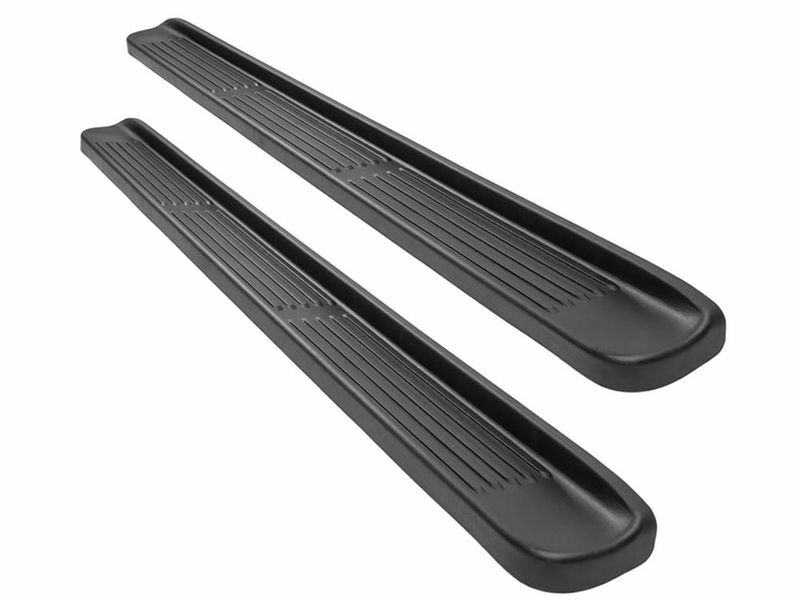 You don't have to worry about wasting a lot of your time or hiring someone to install these running boards either. Ionic factory style running boards come with custom mounting brackets that keep things simple and easy. Even for those that aren't mechanically-inclined, installation shouldn't take much more than an hour. For your peace of mind, Ionic backs all of their running boards, including these OEM style ones, with a limited lifetime warranty. You have nothing to lose and everything to gain! Get your new running boards ordered today!